Dr. Andy is passionate about teaching his patients how to feel better. He believes that by maximizing guiding principles, we can all flourish and achieve optimal health. 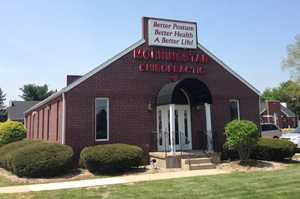 Here at Morningstar Chiropractic Spinal Correction Center, we utilize a broad-based approach to healthcare. Our aim is to improve each patient’s overall quality of life by teaching them how to maximize the transformative power of the body, through specific, corrective spinal adjustments, simple and quick exercise programs, nutrition and detoxification. Dr. Andy is passionate about helping people break free from pain and dysfunction. By placing the emphasis on the body’s structure and the patient’s posture, Dr. Andy aims to remove any interference in the nervous system, through specialized chiropractic adjustments and spinal rehab. By performing both pre and post care plan x-rays, Dr. Andy has crystal clear, objective evidence that his patients are ready for maintenance care. This is similar to receiving a retainer once your braces come off. Dr. Andy’s practice sets itself apart from others. His clinic offers personalized solutions for a wide variety of lifestyle-related, health issues, including, but most definitely not limited to: spinal correction, posture correction, scoliosis and auto injuries. Contact (618) 288-8090 today to learn how Dr. Andy can help you and your family enjoy the benefits that corrective chiropractic care has to offer.